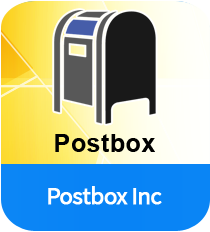 The Post Box is an E-mail client that helps in sorting out your messages to stay on task and find information quickly. Post Box allows you to Tag your Emails in different folders as well. With this Email client, one can bring in their accounts and configure Outlook, Eudora and can have a way in Gmail, Rackspace, Yahoo!, AOL, Comcast and many more. It provides you an access to images, links and attachments. In addition, it helps to share our Emails with Facebook or Twitter. One can also use drop box links instead of sending large files, which leads to send messages in a quick way and also saves your hard-drive space. Postbox makes it easy to search just about anything across all of your email accounts. Just like a web browser, this software lets you see the folders and messages displayed in a tab. For quick replies also one can just message without opening a separate compose window. Now you don’t have to spend too much time searching for a specific email. Just install the free software postbox and enjoy messaging your way. Wow ! It's sorting out my messages to stay on task and find information quickly. That's true it makes easy to search just about anything across all of your email accounts.